Greater Dandenong should switch to postal voting for future local government elections, Councillor Sean O’Reilly says. 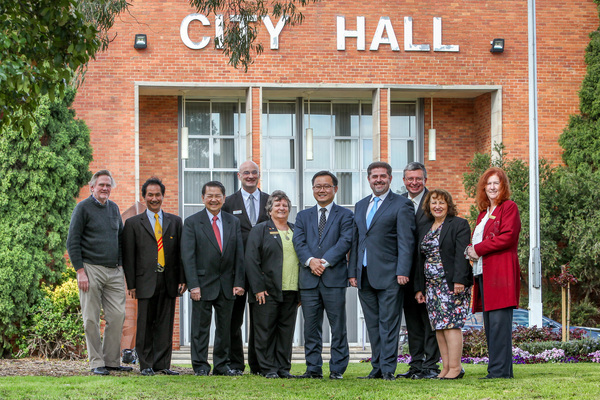 Voters will need to turn up to polling booths across the municipality to fill out their ballot papers on Saturday 22 October after the majority of councillors – including Cr O’Reilly – voted to stick with in-person voting at the 22 February council meeting. At the time he said, “the exercise of democracy shouldn’t be about saving money” and attendance voting made it clearer to see which candidates were more organised and therefore likely to be better councillors. His change of tune followed a legislative change on Wednesday 31 August to stop council candidates from sending how-to-vote cards in Victorian Electoral Commission (VEC) postal voting packs. Cr O’Reilly said the change would kill ‘dummy candidates’, who nominate solely to attract and funnel votes for another candidate, not to get elected. He said a change to postal voting would save the council $150,000 and make campaigning cheaper for genuine candidates. “Candidates don’t have the cost of printing thousands of how-to-vote cards,” he said. Cr O’Reilly said postal voting would give voters who didn’t speak English as their first language the chance to “get language assistance to understand the important decision they are making”. “Last election, several voters that had to wait in queue in the rain expressed dissatisfaction to me that Greater Dandenong does not have postal voting as the main voting method,” he said. During the debate in the council chambers in February, Cr John Kelly said 81 per cent of councils across Victoria used postal voting and supported the switch. Cr Matthew Kirwan said in February that a “genuine election” – with in-person voting – was worth the extra cost because voters could meet candidates and their teams at polling booths and assess which were genuine. But following the postal voting changes, he said that if the measures did significantly reduce dummy candidates “I would support changing Greater Dandenong to postal voting, too“. “Candidates may just spend more money sending out how to vote cards on behalf of dummy candidates – time will tell but it is great this change went through as it will be an experiment that Greater Dandenong can learn from in making a decision next time,“ he said. What do you think? Email casey.neill@starnewsgroup.com.au or visit www.facebook.com/DandenongJournal.